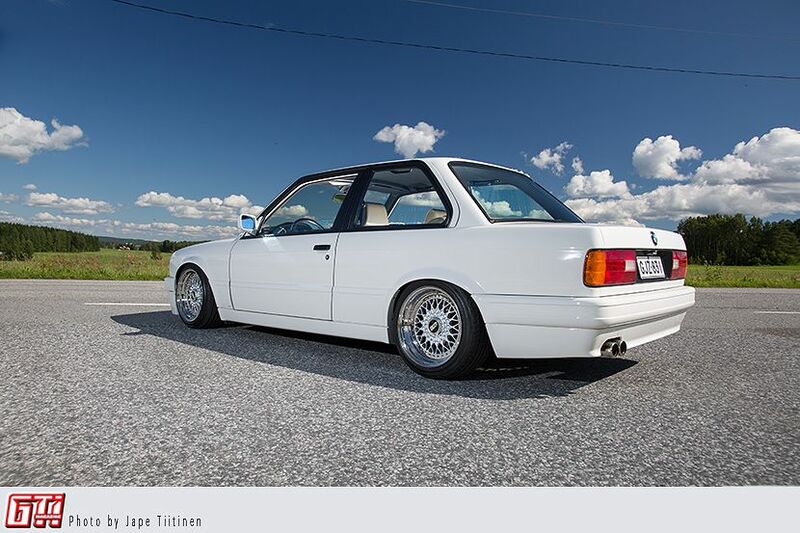 Feast your eyes on this pure white BMW E30 M-Tech II that looks like it was just driven out of the assembly line. Even though this classic is now 26 years old, it shows no signs of brittle joints or sudden interest in weather channels. 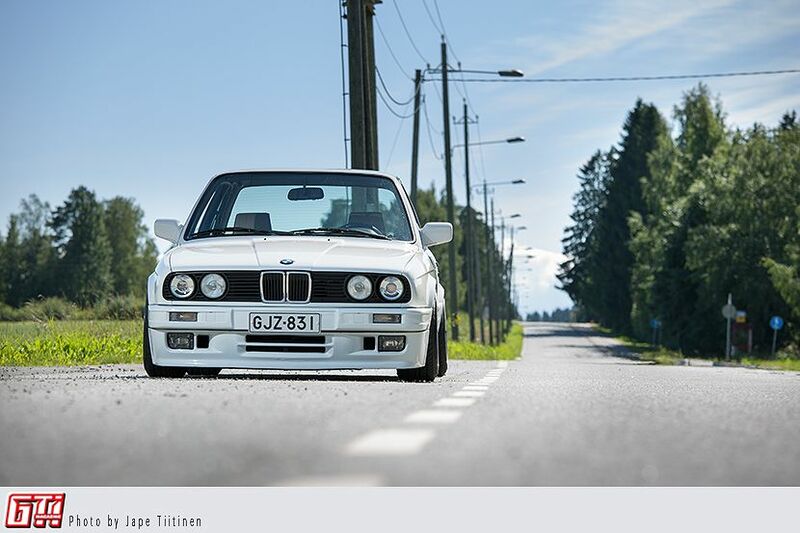 Juho Jääskeläinen owned his first E30 when he was a young impressionable man of 15 years. Since then there's been a thought in his head, that when a suitable candidate appears, he will have another E30 as a project car. 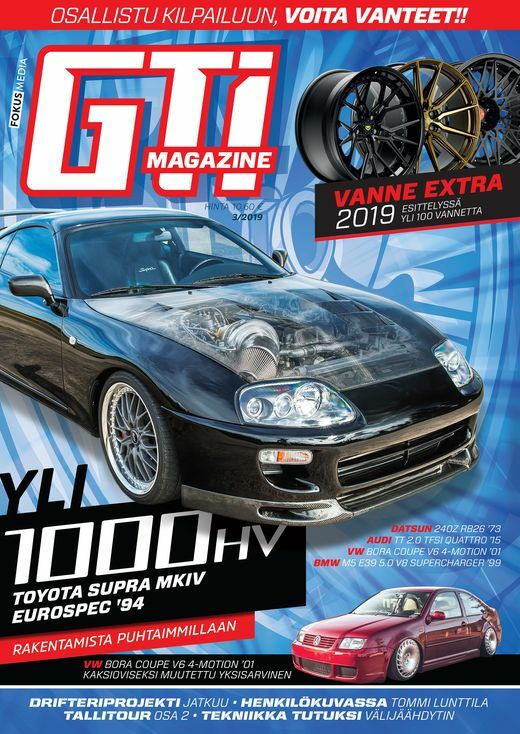 Juho is not what you'd call a novice in car circles, as one his previous projects (VW Golf MK3 VR6) was introduced in EuroTuner magazine a few years back. After selling his last project (VW Golf MK4) one night at a local bar, he woke up as a carless man. This was the perfect excuse to search the whole Europe for the right car, and after spending a small lifetime in Mobile.de he found this stock 1990 M-tech II 325i in Ireland. This car was originally bought in Switzerland by a Polish gentleman, who later in his life moved to Ireland and took the car with him. The car had pretty much every accessory you could buy at the time, and most importantly, it was stock. The car was in great shape, even though a hailstorm had left its impression on it and some signs of age were appearing, so after several emails were swapped, a deal was made. The seller was conveniently going on a vacation in Poland, so he drove the car there from Ireland, and from there to Lithuania, which was where Juho's friend, Lari, had flown to meet the seller. Lari then drove the car to Finland. This was in the fall of 2011. Juho had a clear vision in his head, and that vision consisted of cleaning the interior, repainting the body and refreshing the suspension. The original leather interior had cracked a bit, but the seats could be saved with a leather dye that was ordered from Furniture Clinic. The seats were first removed from the car and scrubbed with a scuffing pad. The most damaged areas were fixed with sandpaper, and after that the whole seat was dyed. Then the whole thing was sealed with a satin varnish, and of course put in place. 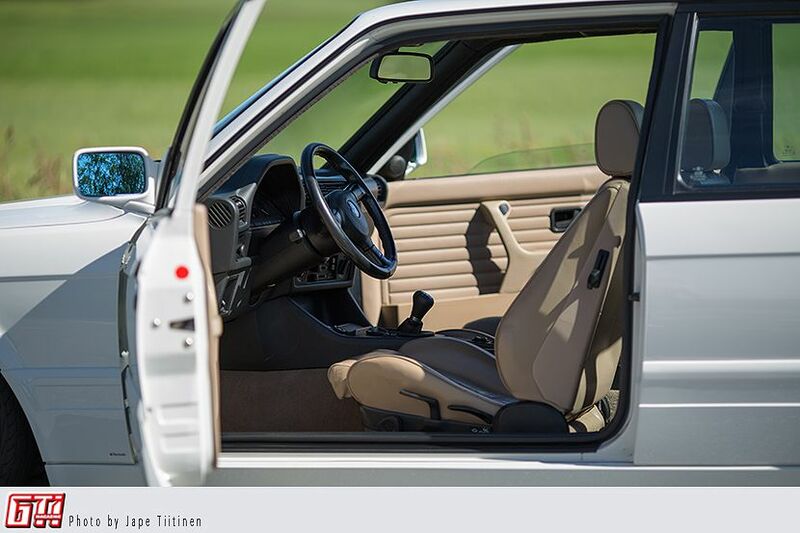 Otherwise the interior was left intact, with a few minor exceptions: a ZHP gear shift knob, a handbrake bag, aluminium M-pedals and a M-Tech II steering wheel were installed. 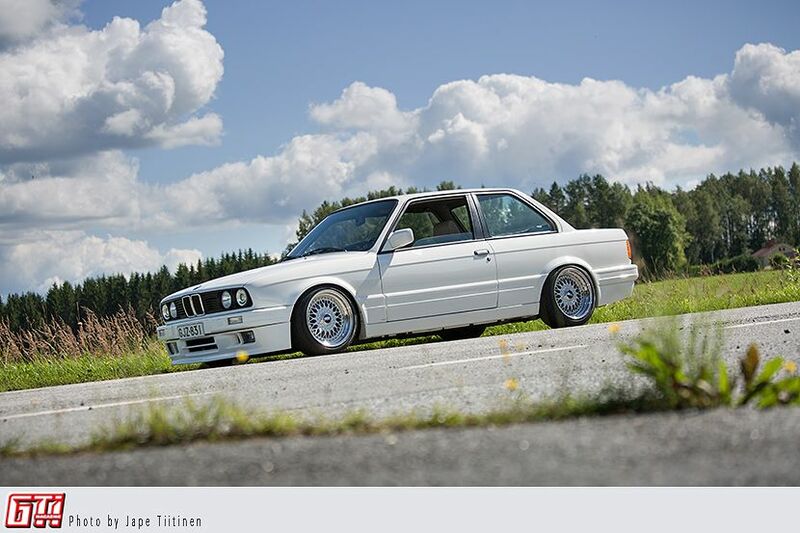 The car had Alpina replicas when Juho bought it, but he just had to have 16” BBS RS wheels on this. The lips were swapped to Radinox models in sizes 2” and 2.5”, and the wheels were pieced together with new bolts and nuts. The suspension was upgraded with BC Racing BR coilovers, which are a great bang-for-buck modification as it has well-rounded settings. Before installing these, however, every suspension part was dismantled and sandblasted. After repainting it was time to rebuild the suspension with new Powerflex bushings, new arms, new bearings, brakes, bolts, nuts, etc. 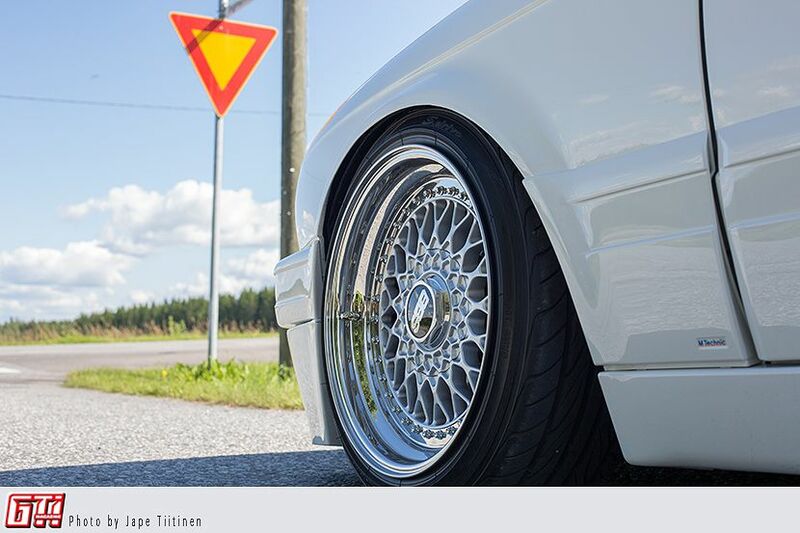 Rear toe and camber adjustments were important, so Juho used E39 BMW's eccentric bolts to make this happen. You could say that pretty much every suspension and brake part is brand spanking. Every door, glass and panel was removed from the shell for the body repaint. Hailstorm damages were repaired and the body was inspected to take care of any possible rust issue. The car had been taken good care of, fortunately, so no rust was found. Before the repainting was done, the wheel arches were rolled a bit. The fresh white paint was water grinded and polished after the repaint. The M-Tech II bodykit looks just awesome in white, and the only thing missing is a piece on top of the trunk, that will also be upgraded soon. Other plans for this car include bigger wheels and bigger brakes, but the main objective is to keep the in OEM condition, with few improvements. The car currently shouts its straight-six noises only during bright summer days, as it's meant to be kept in as good condition as possible. A loved car deserves only the best, and wintery Finland is far from that.